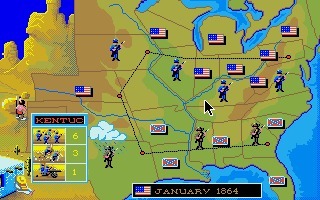 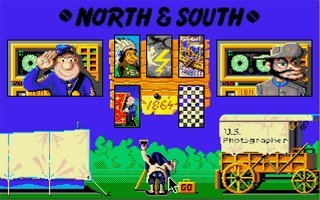 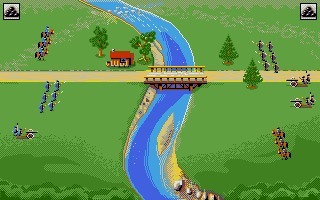 North & South is an action/strategy game based on the comic books "The Blue Jackets", released in 1989 for Amiga and Atari ST and ported later for DOS, ZX Spectrum and other platforms. 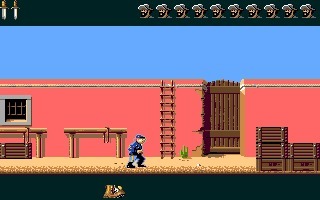 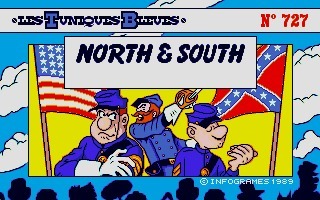 The game is based on the Belgian comic series Les Tuniques Bleues, that represents the American Civil War with many humorous elements. 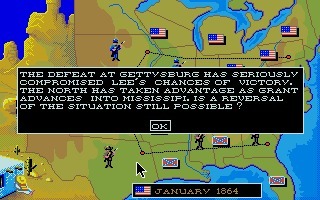 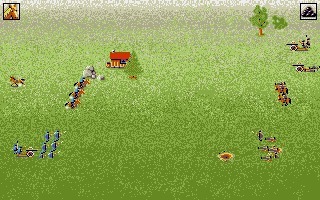 The player basically acts out the Civil War, choosing to play as either the North or the South. 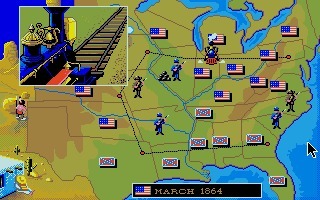 The player may choose to start the game year from 1861 (the year the Civil War erupted) to 1864. 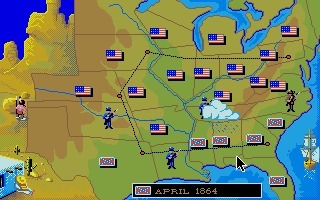 Each year has a different array of armies and states that each side starts with. 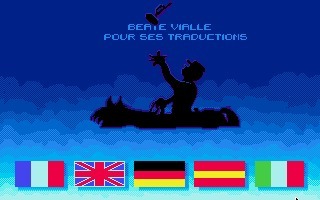 The game is fully localized in English, French, Spanish, German or Italian.